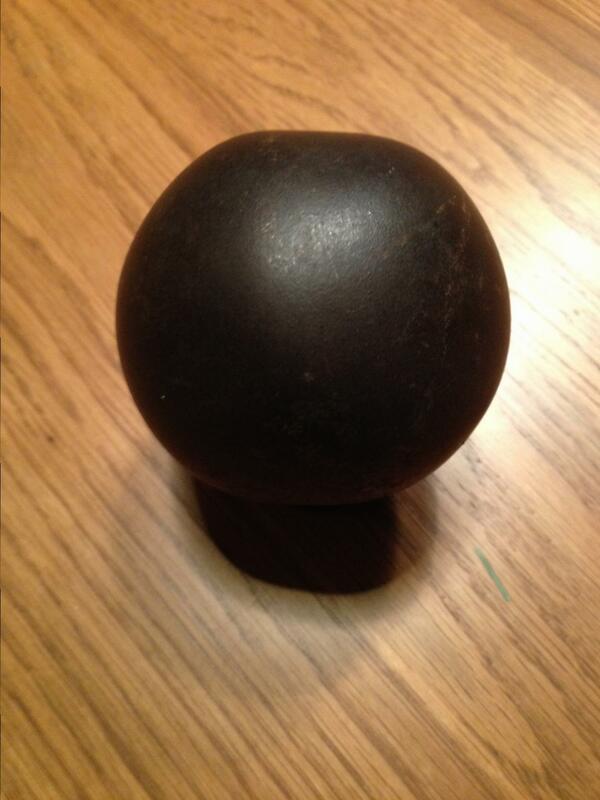 Here is another example of what someone thought was a real Civil War Cannonball. It is actually a rock crusher ball. There are so many different sizes of these “rock crushers” balls, that it is hard to tell if it is a cannonball or not. Cannonballs have to be a certain diameter and weight, and perfectly round. Examine the picture closely, and you can see it is oblong and has flat spots on it. This could have easily been passed off to someone as a cannonball, if you didn’t know what to look for. Buyer beware. What he thought was a $100.00 cannonball, is actually a 3lb ball of scrap iron.